• Come eat on Thursday, March 14 from 5-8pm. 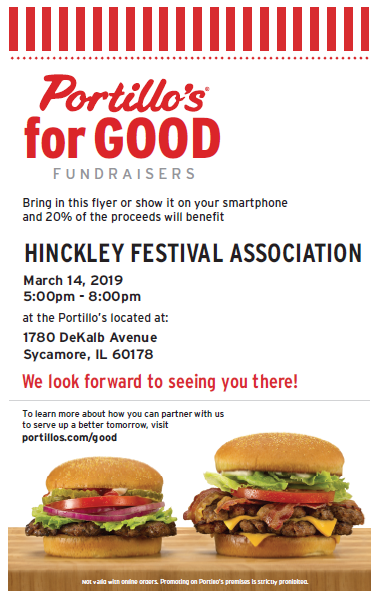 • Portillo’s will donate 20% of the sales that your organization earns! • If you order in the drive-thru, make sure to inform the first order taker that you are participating in the fundraiser.